Berkeley, CA – Today Berkeley Mayor Jesse Arreguin, U.S. Congresswoman Barbara Lee, California State Senator Nancy Skinner, California Assemblyman Rob Bonta, California Assemblyman Tony Thurmond and Alameda County Supervisor Keith Carson hosted a press conference to condemn hatred, bigotry and violence, ahead of a planned white nationalists rally in Berkeley. "The East Bay stands firmly against the recent incidents of hatred and bigotry," said Assemblymember Rob Bonta. "These voices of ignorance and intolerance will never prevail. They will be unmasked and we will see they hold no power to erode our California values of inclusion, equity and opportunity. We stand shoulder to shoulder with the East Bay as a strong and diverse community. We will never let hate and bigotry divide us." “As we’ve clearly seen over the past few weeks, racism is alive and well in America. Racial inequity exists in the very structure of our society, and until every American is willing to condemn hate, it will continue. 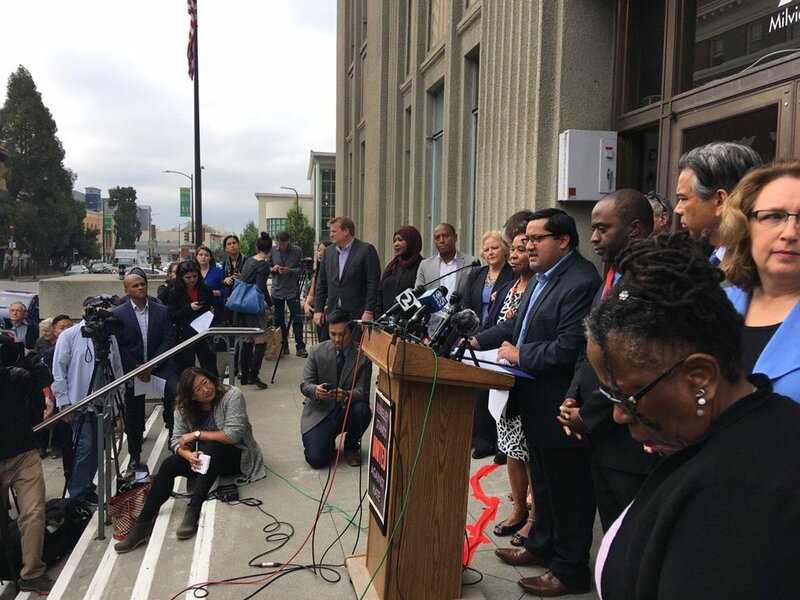 But we cannot overcome hatred with violence, and I call on the citizens of Alameda County to stand peacefully against bigotry,” said Supervisor Keith Carson.